Everybody knows the traditional hummus made from chickpeas, but what about a hummus based on quinoa. For something, a bit different that is sure to be hit with everyone is Quinoa Hummus. It has a fresh and slightly spicy flavor that is sure to get your taste buddies tingling. 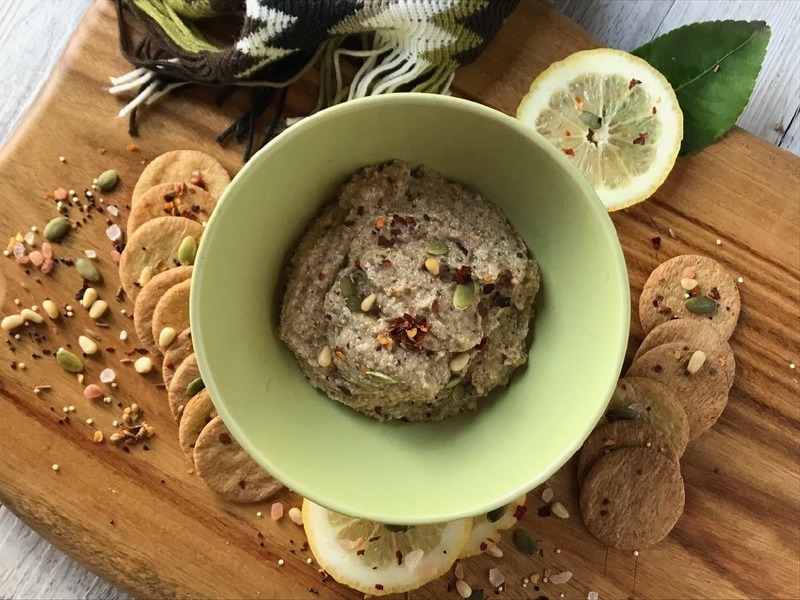 Quinoa Hummus is a lighter textured alternative to regular hummus. Enjoy it as a dip, over barbequed foods or as a spread on a healthy wrap. Make it and take it to your next shindig, you're sure to be the talk of the party. Cook the tri-color quinoa following the instructions on its packaging. Preheat oven to 180°C fan-forced and line a tray with baking paper. Evenly spread the pine nuts and pepitas on baking try toast for 5-10 minutes or until the pine nuts are golden in color. Allow nuts to cool slightly and then place the quinoa, pine nuts, and pepitas into the bowl of the food processor and process until they are just combined and blended. Add the remaining ingredients (except those to be used for garnish) to the bowl of the food processor and continue to blend. Scrape the sides of the bowl and add a maximum ¼ cup of filtered water extra if feel necessary consistency is not being achieved and blend for approximately 30 more seconds. It is important that you do not over blend the hummus as a gummy texture will result. To serve transfer hummus to a serving bowl and drizzle olive oil and sprinkle paprika. The hummus can be stored in an airtight container and refrigerated for up to a week. I love this recipe. I use it most days as a spread on my salad wrap for lunch.